Europe is known to have very beautiful churches. 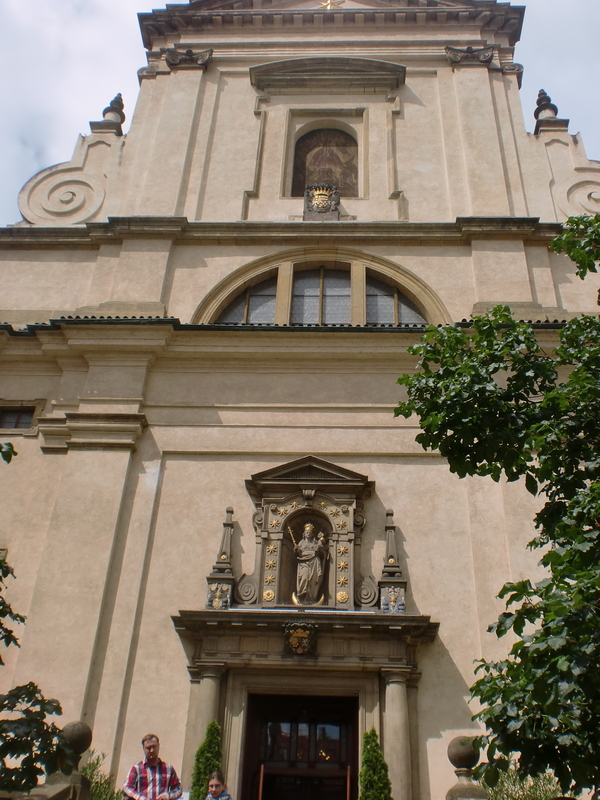 Those old (think Renaissance and Baroque), elaborately decorated, pipe-organ adorned, huge-domed churches. 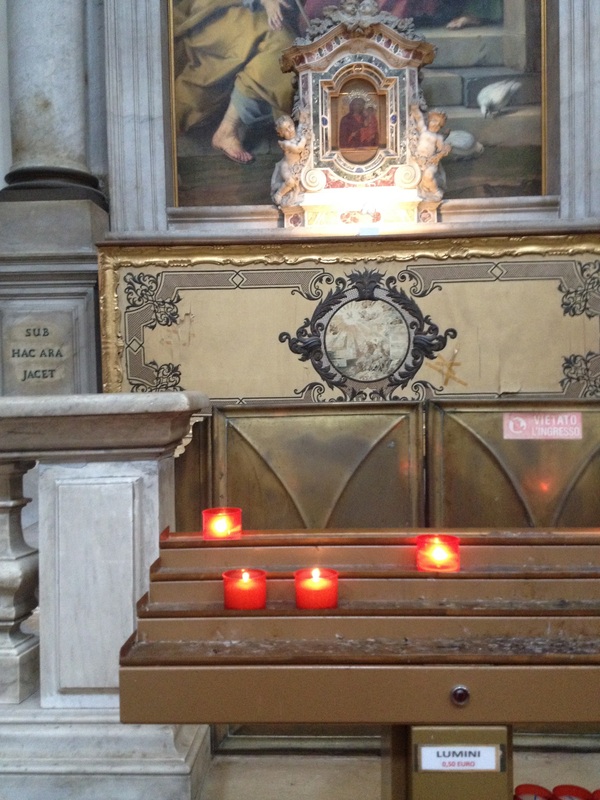 For the past Europe trip, one thing I made sure was to pray in a church in each city we’ll visit. I was happy to accomplish this, and more. Hidden in tall greens, we found this n the middle of Karmelitska. We got lost on our way, but was guided by some signages of shops bearing souvenirs of the Infant Jesus of Prague, and that Infant Jesus image on top. Sto. Nino, or the Infant Jesus, is very close to Filipinos. I can’t really remember if I was able to pass by this church the first time I was here in 2006, but I made sure to visit it this time. The Solemnity of the Sto. Nino is one of the most important feasts in our church community. Since it also coincides with the Children’s Mass, a special concelebrated Mass is always prepared, complete with drummers and dancers, reenactment of how the Sto. Nino came to our country, and some pakulo for the churchgoers after the Mass. And that our church is dedicated to the youth, I prayed even more for His blessing to our priests, volunteers, especially to our young volunteers (my own child included). 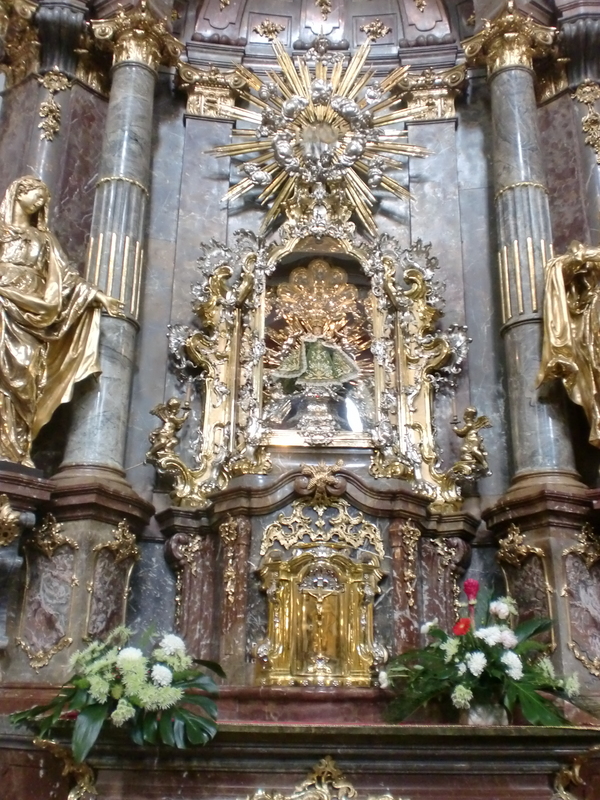 Lifted up all the children of the world to the Infant Jesus of Prague. Wasn’t able to take photos, but this is where we had our second performance for the trip. 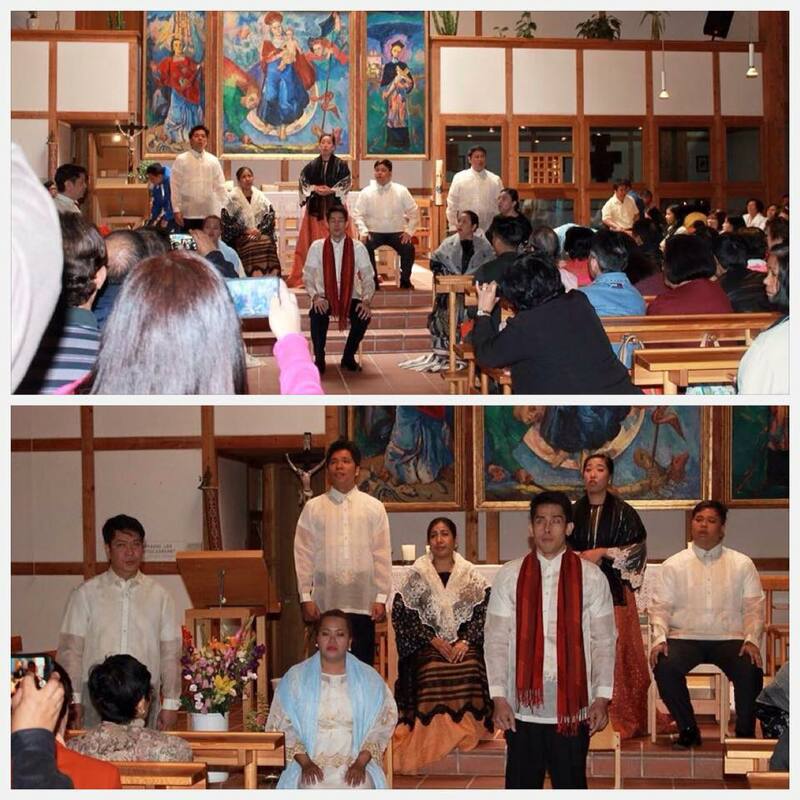 It was a Sunday and our performance came after an English Mass for the Filipino community. The church was made of wood, you wouldn’t even notice it being a church at first. As soon as I started my first note after we positioned, I knew it will be a great performance. Indeed, it was, that I immediately found a place to kneel and pray and thank the Lord for that wonderful performance of the Pasyon. The acoustics are so beautiful, it’s like the sound is instantly mixed. 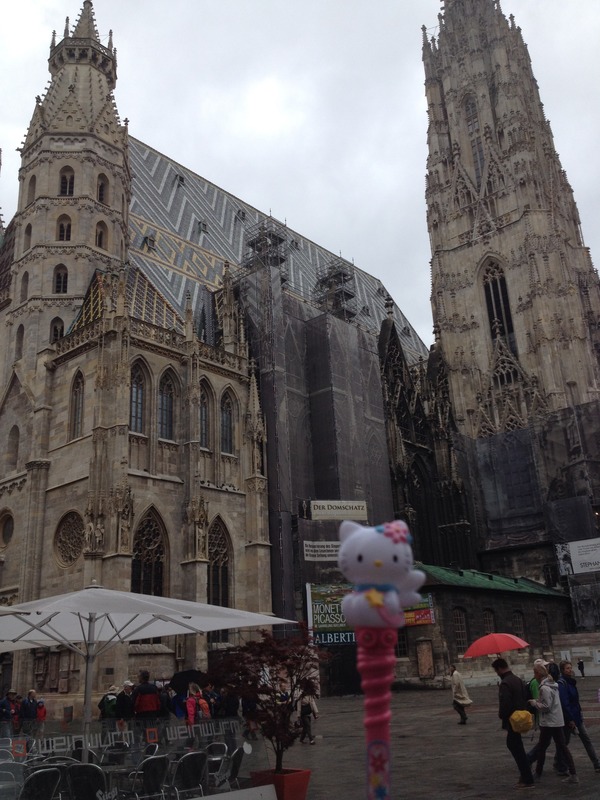 Touringkitty poses in front of the Stephansdom. Vienna is definitely one of the cities I’d like to visit again and again. A trip to Vienna isn’t complete without visiting one of its busiest tourist centers, Stephansplatz, where St. Stephen’s Cathedral can be found. It has an active calendar of performances and concert masses, and my co-performers were able to catch one on the Sunday night we were there. 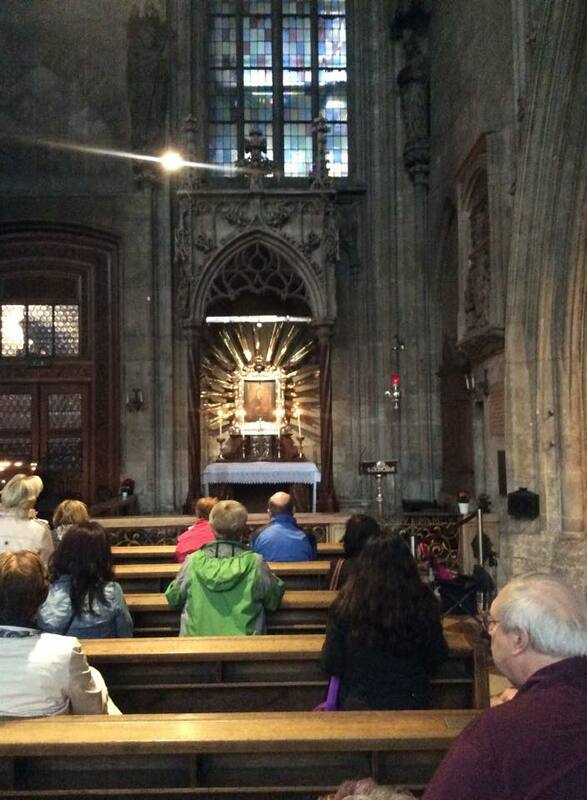 Here I am praying by the image of Our Mother of Perpetual Help. Taken by my friend and co-performer, Ate Cherry. The instant day trip to Bratislava from Vienna (which was less than an hour away) took us to its tourist center. I saw this by the plaza, and found out it’s a Roman Catholic Church. Church of the Merciful Brothers. There was a Mass going on, and as I entered, it was the Consecration of the Body and Blood of Christ. Just stayed for a few moments, knelt where I was standing, and prayed. After 30 minutes or so of searching the internet, I finally found what the name of the church was! 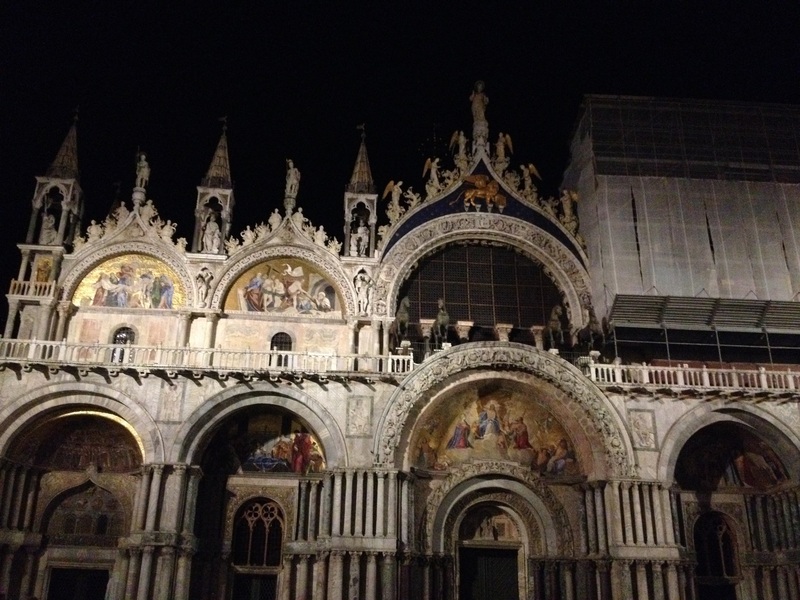 The Basilica at night. Her gold shines bright. Chiesa d’Oro. I was lucky enough to visit this church in both day and night times during this trip. 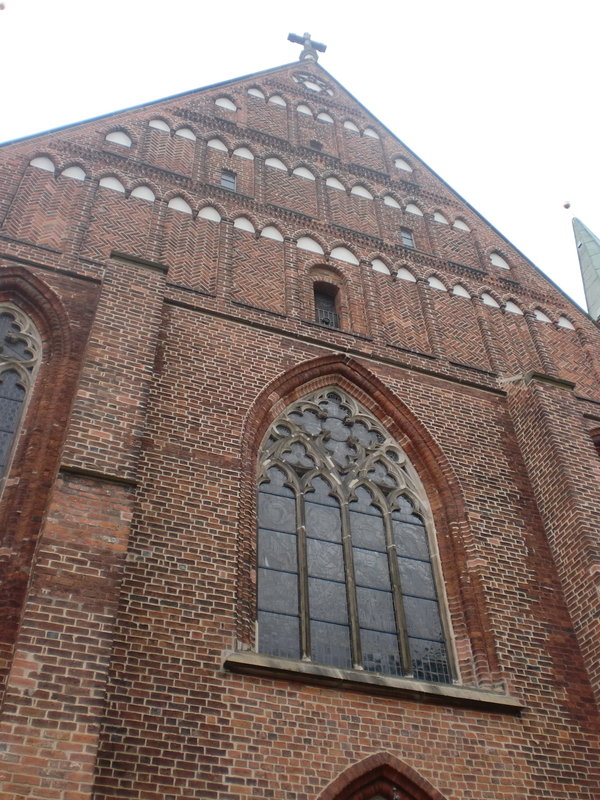 During the daytime visit, we went inside the church, and there was a queue going in, which moved quickly. Made sure to offer prayers and candles, and buy some souvenirs for family and friends. No photos are allowed inside the church, so we took as much outside. This was one! 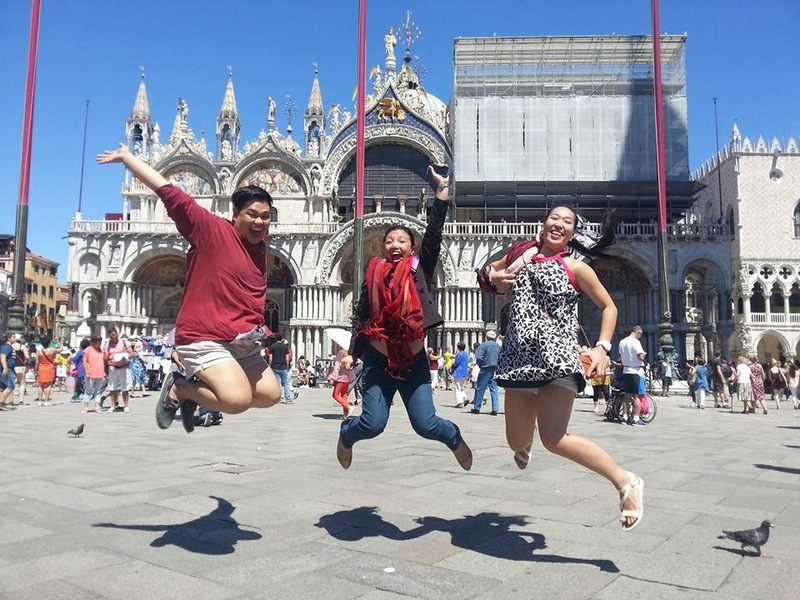 Jumpshot in Italy this time. With co-performers Leo and Jhom. 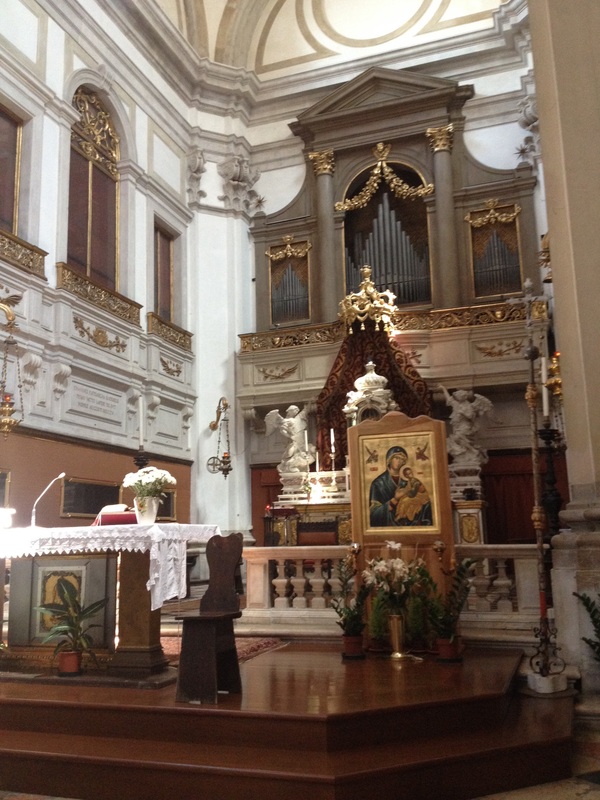 I wasn’t able to take a good photo of the church’s facade, so here’s the altar instead. And yes, a Novena to Our Mother of Perpetual Help (on a Thursday night). Exposition of the Blessed Sacrament and Holy Hour was also held, just before a (very short) Italian Mass and then our concert followed. Since this was the last official tour stop, I offered again candles and lots of prayers. Again, in an image of our Mother and Her Child. Take note that candles would cost about at least 0.50 Euros, or about 25 Philippine Pesos. 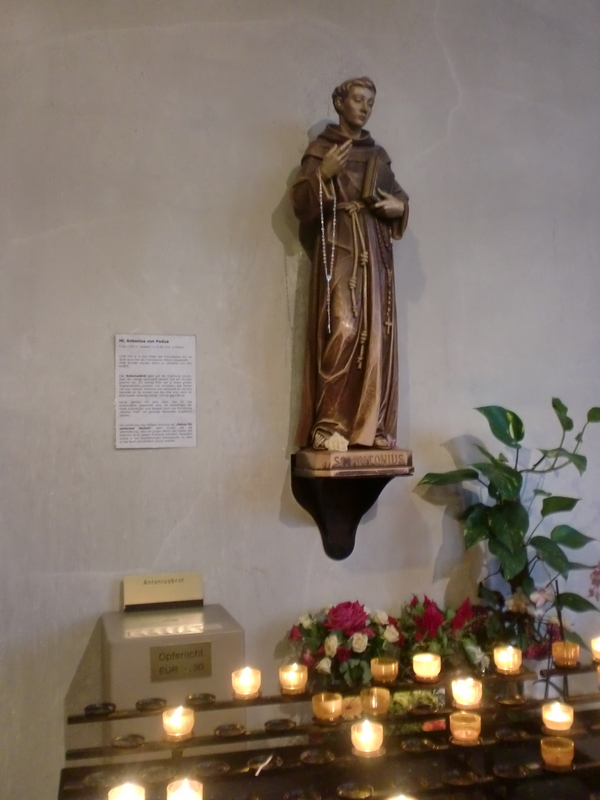 A Saint Anthony! And those two candles on the left top portion were offered for my family and friends and their intentions. Either I missed my husband, or my husband just assures me they’re doing great back home. 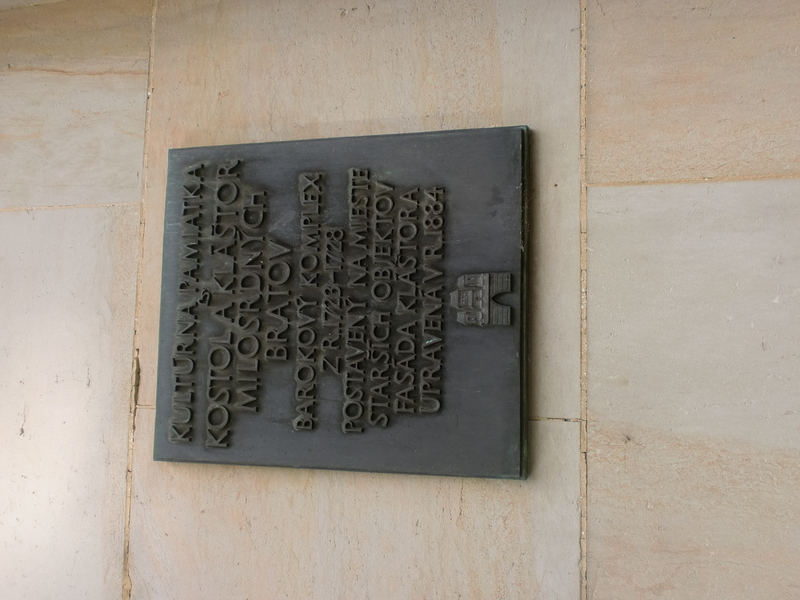 Seven churches in five cities. Hooray for this #TKEurope2015 achievement! It was a humbling experience to see all of these beautiful churches, one pilgrimage I will never forget. And to have shared the music of the Pasyon to our audience, fellow Filipinos especially, it was a blessing to bless them with our music.